Plant Like a Master Gardener! Choosing the right plant for your zone, exposure, and conditions is the first step to ensure success. Check your USDA hardiness zone to make sure the plant is winter-hardy for your area. You can always grow plants with lower hardiness zones than the zone you live in but if you try to plants with higher hardiness zones they most likely won’t make it through the winter. Plants with higher hardiness zones can be used in containers or in plantings that will give summer color but that are not expected to live through the winter. For more information and to find your zone see USDA Zone in the How To section. Each plant has its own need for sun; some can take sun all day while others need very little. Once you determine where you will be placing plants in your landscape you need to determine the amount of sun the location will receive. A plant’s tag gives information about the exposure the plant needs such as full sun, partial sun, morning sun, etc. that can be used to match up the perfect plant to your chosen landscape location. Is your planting location naturally wet or dry? This should also be taken into account when choosing the right plant. The plant tag will give information about whether the plant is drought tolerant, wet tolerant, or whether is requires routine waterining so it won't get too dry or stay too wet. For more information see Watering in the How To section. Once you have found the plant(s) that fits your hardiness zone and your landscape location you are ready to begin the actual planting process. 1. Dig a hole one and a half times wider than the plant's container. 2. Remove plant from container. Roughen sides and bottom of root ball. 3. Center plant in the hole, keeping it vertical. 4. Top of the root ball should be level with surrounding soil surface. 5. Fill in around roots with soil, and then firmly tamp down. 6. Water your plant thoroughly. Refill with soil if necessary, then water again. 7. Add 2-3 inches of mulch around base of plant, keeping away from plant stem. 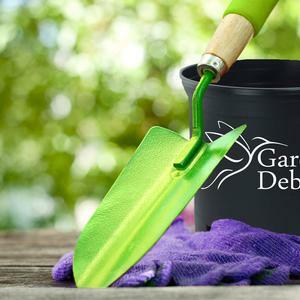 With the Garden Debut® Collection you can rest assured you are getting plants that have been tested for long term performance and success in the home landscape.